and rapid disintegration by direct compression method of tablet production. tablets can be produced by direct compression. Because of rapid and complete water absorption, the tablet disintegrates within 30 seconds. 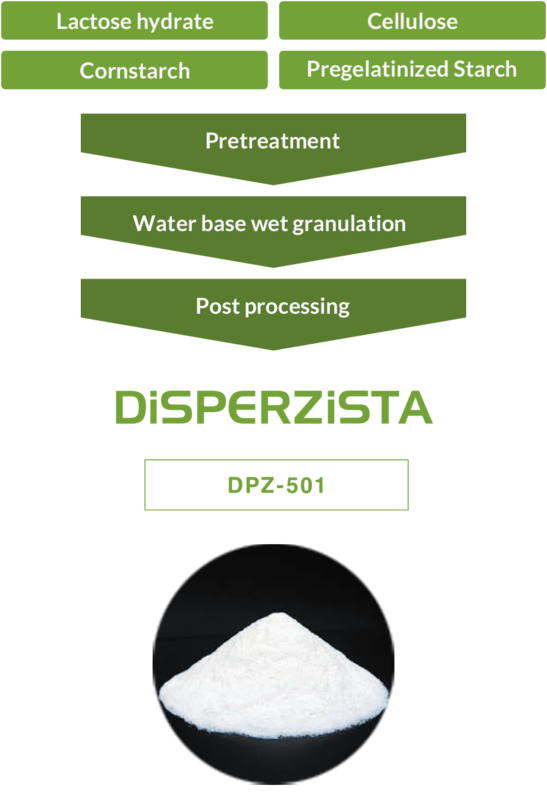 All ingredients are classified as foods or food additives, and DiSPERZiSTA is categorized as food in Japan.